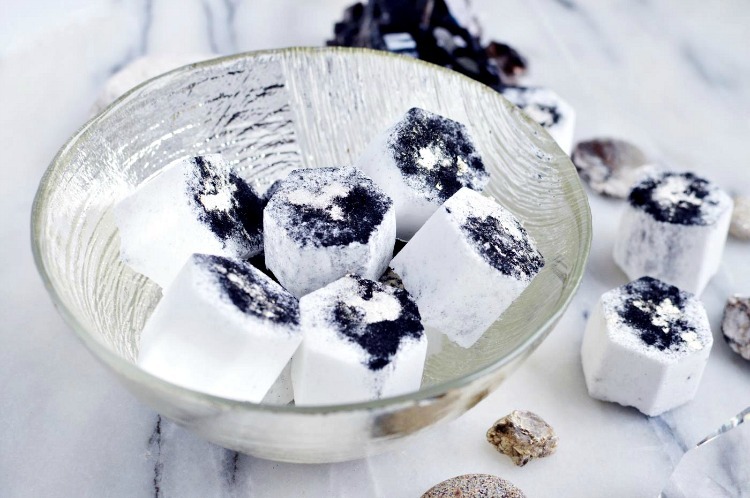 Activated charcoal is a great ingredient to add for healthy skin detoxing. 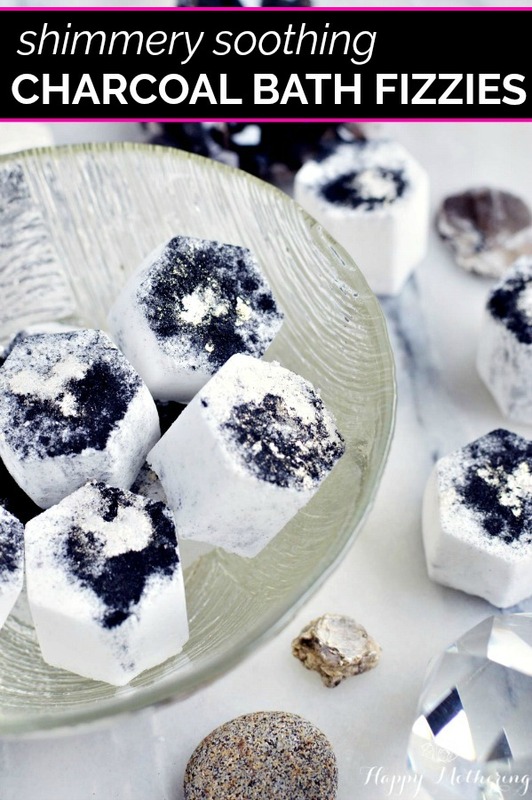 Making your own DIY soothing charcoal bath fizzies with natural ingredients is easy! And they’re so pretty too! 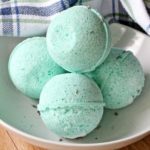 One of my favorite DIY beauty projects to make are soothing bath fizzies. While my family is out snowboarding, I can indulge in a nice, relaxing bath. There’s nothing like relaxing in a warm tub filled with soothing scents and natural ingredients that are calming to my skin when no one is around to disturb me! It’s like a little piece of heaven at home. 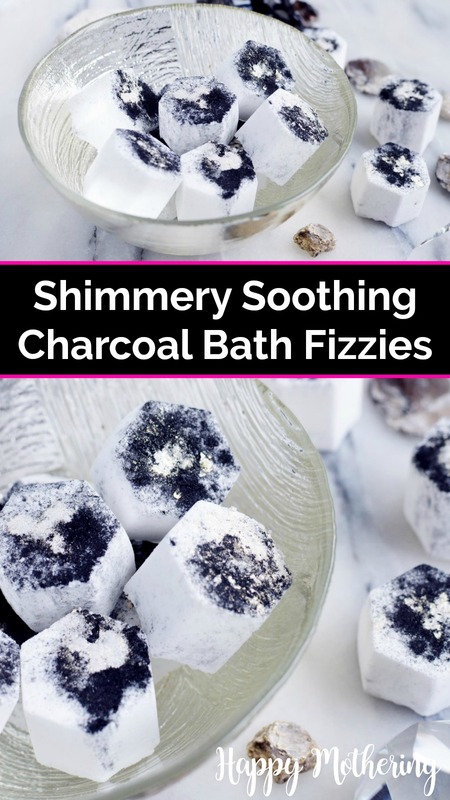 Today I’m sharing my recipe for Shimmering and Soothing Bath Fizzies. 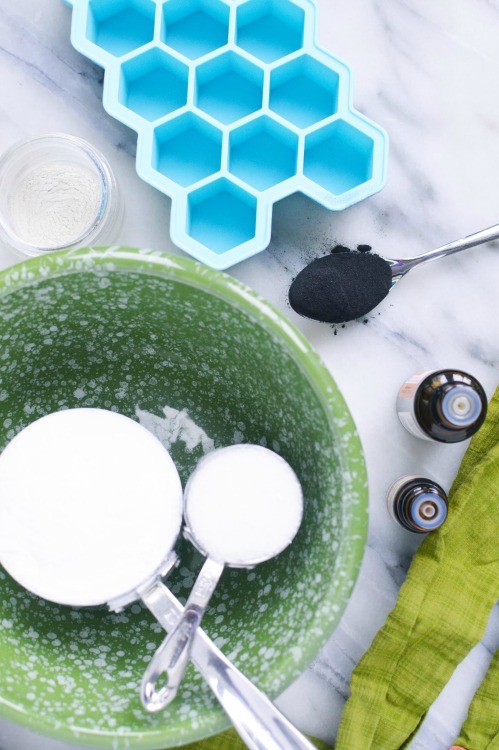 It includes a couple extra ingredients that give these soothing bath bombs a nice shimmering effect – activated charcoal and mica powder. Kids love these soothing bath fizzies as much as adults do, and they make great gifts too! 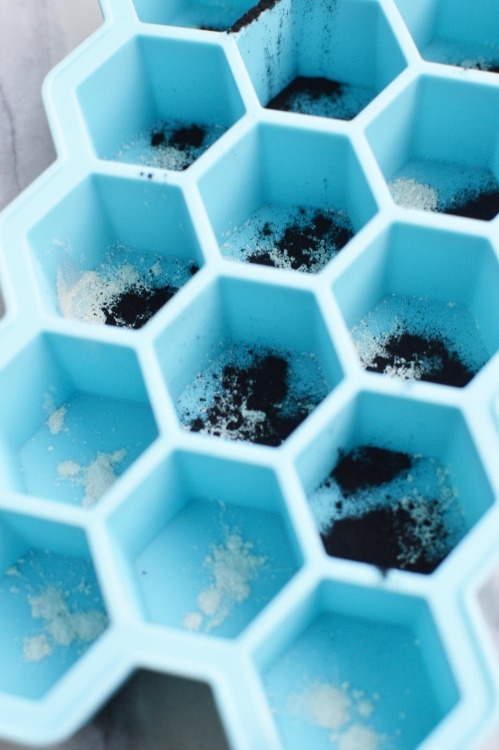 Start by adding a dusting of activated charcoal and mica to the bottom of each well – a little goes a long way. 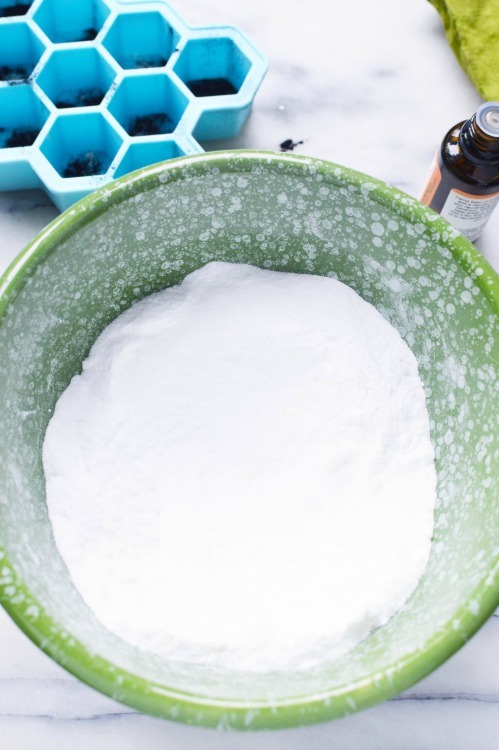 Combine the baking soda and citric acid in a small mixing bowl, then add the essential oils. Using your hands or a small spatula, add in just a little water at a time and mix. You’ll be able to feel the consistency go from a grainy powder to a wet smooth sand consistency that will hold its shape when you press it together. Quickly press the mixture into the molds, making sure to push all the way down on each one so the finished fizzies will hold their shape. 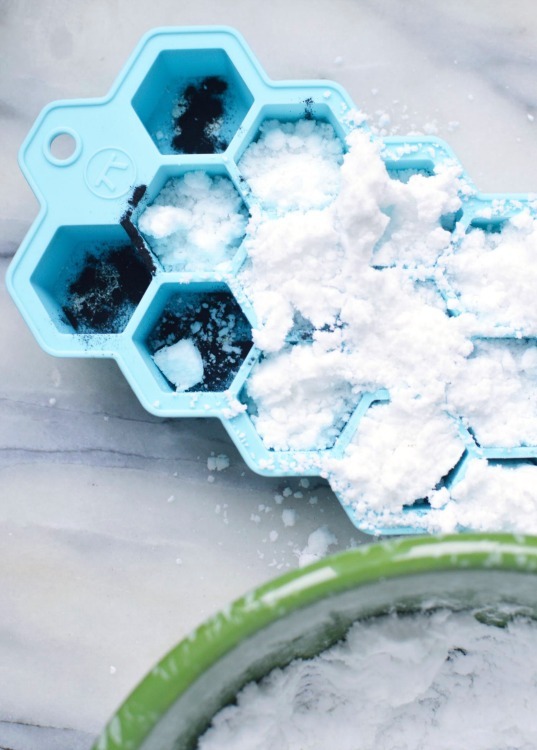 Allow your soothing bath fizzies to dry for 12-24 hours. The amount of time it takes will simply depend on the humidity and size of the molds. 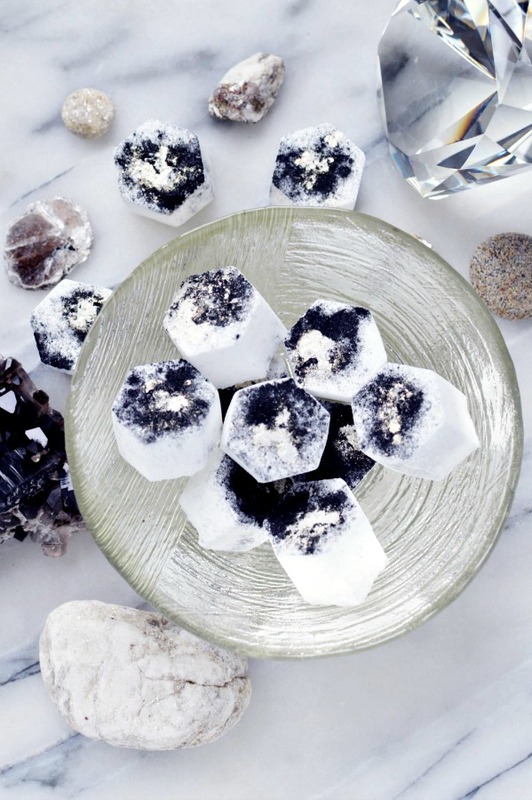 The bath fizzies are ready when they feel hard, dry and maybe a little brittle to the touch. They should pop right out of the molds. Store them in an air tight container until ready to use. They will last quite some time this way! Draw a warm to hot bath and add 2-4 soothing bath fizzies, depending on the size of you tub. Soak for about 20 minutes. Are there other essential oil scents you like to add to your soothing bath fizzies?